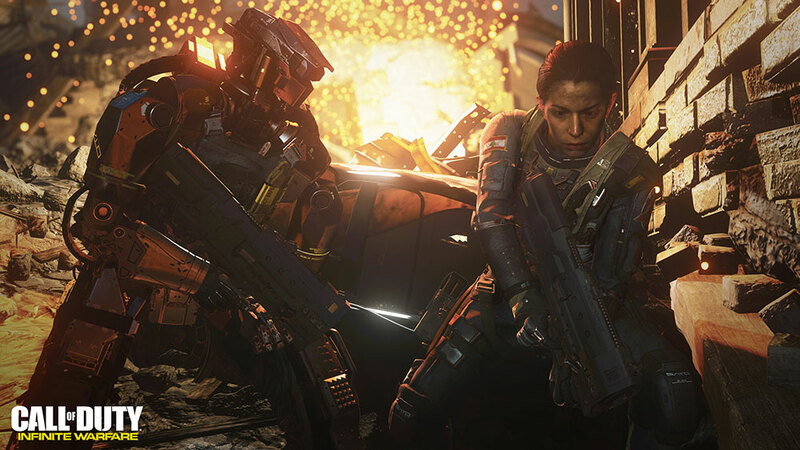 For the past few installments, the Call of Duty series has been flirting with near-future military technology. That's nice and all, but what I really want are some gosh darned Space Marines. Luckily, someone at Infinity Ward was listening. 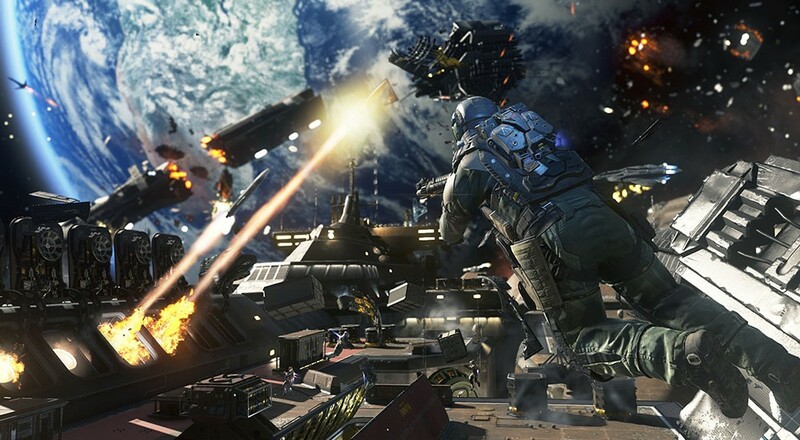 Call of Duty: Infinite Warfare firmly plunges the series into a future where mankind has not only colonized the solar system, it's splintered into two factions. One of which became a band of crazed militants. After the now-standard introductory mission, you step into the shoes of Nick Reyes, a Special Ops pilot. Earth gets attacked by the villainous Settlement Defense Front, a group of off-world insurgents led by Admiral Kotch, or as I like to call him, 'Space Jon Snow'. Along with your trusty partner Salter and a surprisingly humorous robot buddy, E3N (or Ethan), you'll take the fight back to the SDF in a battle that spans the entire solar system. Since it's set in the far future, the technology has evolved significantly. For example, many of the enemies are robotic so you can hack into and control them, you find an auto-tracking shotgun, there's a portable laser cannon, and you have spider grenades that seek out and attach to enemies. While you can boost your jumps and wall run, only a handful of the maps made good use of these abilities. Many of the missions of the campaign are memorable thanks to the setting, but one truly stands out. There's a mining facility on an asteroid near Mercury that's spinning wildly out of control. This creates a very short day/night cycle where exposure to direct sunlight is deadly. The robotic enemies are all solar-powered so they can only operate during the 'day', and then shut off at 'night'. This lead to some exciting firefights where I felt like I was about to be completely overrun, only to be saved by the enemies powering down. Call of Duty games have always included vehicle segments, but Infinite Warfare ups the ante by letting you engage in actual dogfights. In space. I had so much fun with them, that I was honestly shocked that there isn't a deathmatch variant in the multiplayer that lets you fight other players. Luckily, the campaign also includes a series of side missions where you can engage in more dogfights or assault SDF capital ships for fun and profit. Finishing these unlocks extra perks for Nick to take into battle, which offer such quality of life improvements as faster health regeneration, or giving you an electrically-charged knife to 'power up' your melee attacks. In a lot of ways, the single player campaign reminds me of Halo Reach. Maybe it's the 'against all odds' storyline. Maybe it's the space dogfighting. Heck, maybe it's just the fact that you're shooting ballistic weapons in a far-future sci-fi setting. 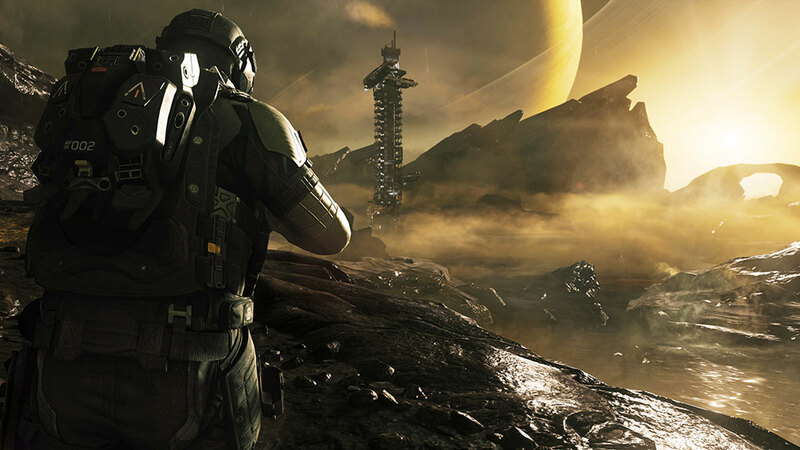 Whatever it is, Infinite Warfare's the most fun I've had with a COD campaign in a long time, and it's worth checking out even if you're primarily here for the multiplayer offerings.